In 1981, Mindi Messmer enrolled at Syracuse University and started to study computer science. She soon told her mother that this particular major was not for her. “Well,” said her mother, “You’ve always liked rocks.” And so Mindi switched her major to geology. In 1988 Mindi started to work in the environmental science field. She continued to work in that field, starting her own woman-owned business in 1998. In early 2014, Kegan Messmer, ten, of Rye, NH, told his mother that kids in his elementary school were getting sick. Really sick. One of the boys had leukemia and others had cancer. Kegan’s mom, environmental consultant Mindi Messmer, had recently enrolled in a graduate program in epidemiology at Georgetown University. She was taking classes remotely, visiting the Washington, DC campus about once a month. Mindi was alarmed by Kegan’s news. It seemed to her an unusually high concentration of childhood cancer cases for such a small area. She talked with friends who were equally concerned. Four cases of a rare childhood soft-tissue cancer, rhabdomyosarcoma (RMS), came to light. The women suspected that the cause of the outbreak was environmental. From 1972 to 1982 the Coakley Landfill, a 27-acre site located in the towns of North Hampton and Greenland, abutting Rye, accepted municipal and industrial waste products from surrounding towns. When this practice was discontinued, the site was used for disposal of incinerator residue from the Pease Air Force Base. As early as 1979, residents of properties near the landfill complained to the state about the poor quality of their well water; in December of 1983, the Superfund National Priorities List, which tracks known releases or threatened releases of hazardous substances, pollutants, or contaminants throughout the United States and its territories, identified the following “substances of concern” (read: carcinogens) at the landfill: benzene, tetrachloroethene, arsenic, 2-butanone, phenol, diethyl phthalate, chlorobenzene, dichloroethane, chromium, and nickel. In 1989 the landfill was declared a source of contamination in local surface waters, groundwater and, to an unknown extent, in wetlands to the west. On the evening of Tuesday, March 15, 2016, two years after Mindi Messmer voiced her concerns to the New Hampshire Cancer Registry, state epidemiologist Dr. Benjamin Chan told a gathering of residents at the Rye Elementary School that, indeed, an unusually high number of cases of RMS had occurred in the five towns in close proximity to the Coakley Landfill, from which, according to the EPA, the various carcinogens listed above had leaked. 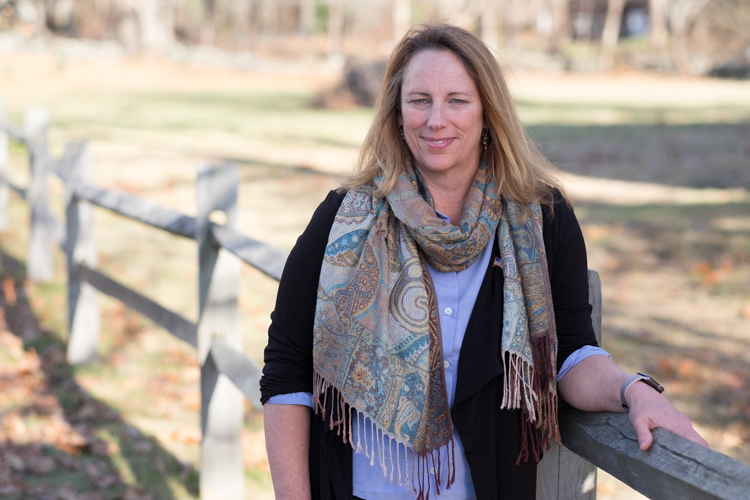 Last fall, after U.S. Rep. Carol Shea-Porter (D-NH) announced that she would not run for re-election, Mindi considered entering the race to succeed her. During her time in the State House Mindi has effectively advocated for an increase in the minimum wage, reproductive rights, gender equality, universal healthcare, expanded Social Security, and a range of environmental issues based on her conviction that every American has the right to clean air and clean water. She has been working hard running a grassroots campaign ever since. Her campaign "walks the walk, not just talks the talk," refusing to take special interest or corporate PAC money. She says her special interests are the citizens of New Hampshire. Does Mindi's story speak to you? The Mindi For Congress campaign is always looking for passionate and driven volunteers to deliver tangible results. Follow the link below to get more information and join our team. I have lived in the New Hampshire Seacoast region since 1985 after receiving a B.S. degree in Geology from Syracuse University. I attended graduate school for earth sciences at the University of New Hampshire. I just completed my M.S. at Georgetown University in clinical and translational research. I plan to combine my expertise in environmental contaminants with an understanding of the health effects associated with these toxins. My professional work as an environmental consultant has focused on the evaluation, design, development, and implementation of conventional and innovative in-situ and on-site technologies for remediation of contaminated sites. I have consulted businesses, banks, and the U.S. government on the presence of environmental contaminants. I have conducted and managed projects ranging in scale from small hazardous waste site assessments and remediation design, to large remedial investigations and remedial action under a variety of regulatory programs including RCRA, CERCLA, and State Superfund. I was elected to the New Hampshire House of Representatives in 2016. I am known for blowing the whistle on a Centers for Disease Control (CDC)-defined double cancer cluster in a 5-town area of the New Hampshire seacoast and my advocacy for drinking water protection, chronic disease and cancer prevention. Three bills that I sponsored in my freshman year as a legislator were passed and signed into law. I continue to advocate for legislation to protect drinking water, prevent chronic disease, worker and firefighter safety and protection, and union worker protections. I am a founding member of New Hampshire Safe Water Alliance, a national organization to educate and advocate for environmental protection. Mindi was awarded the Less Cancer Leadership Award for her work associated with Governor Hassan's Pediatric Cancer Task Force. Fam, S., Messmer, M., Nautiyal, D., Hansen, M., "Critical State of the Art Review of Vapor Extraction", Proc. Purdue Ind. Waste Conf. 50:137 (1995). Fam, S., Pirelli, T., Sullivan, T., Findlay, M., Fogel, S., and Messmer, M., "Anaerobic Bioremediation of Chlorinated VOCs in Conjunction with Dual Extraction", In-Situ and On-Site Bioremediation, Monterey, (1998). Mindi is a blogger at Medium.com, and writes for the Less Cancer Journal. She is a member of the National Writers Union and is the author of several academic publications.